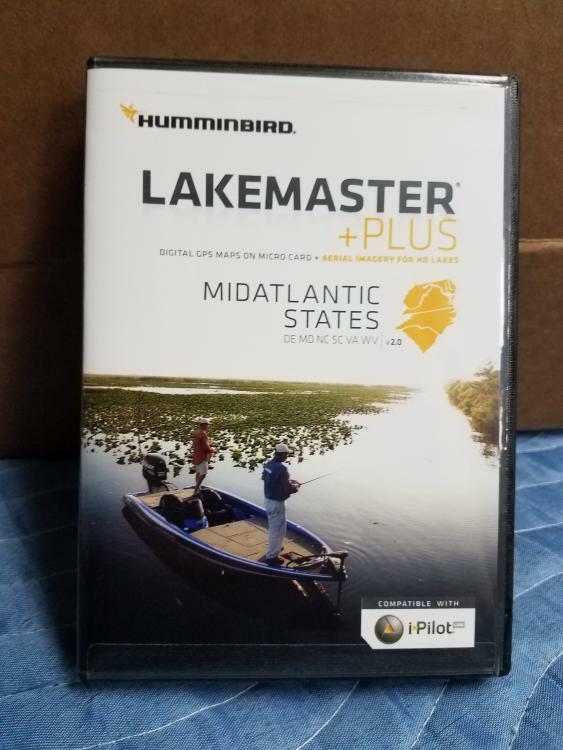 This is a nearly unused (10 minutes) Lakemaster +Plus Mid Atlantic States mapcard for compatible Humminbird units. 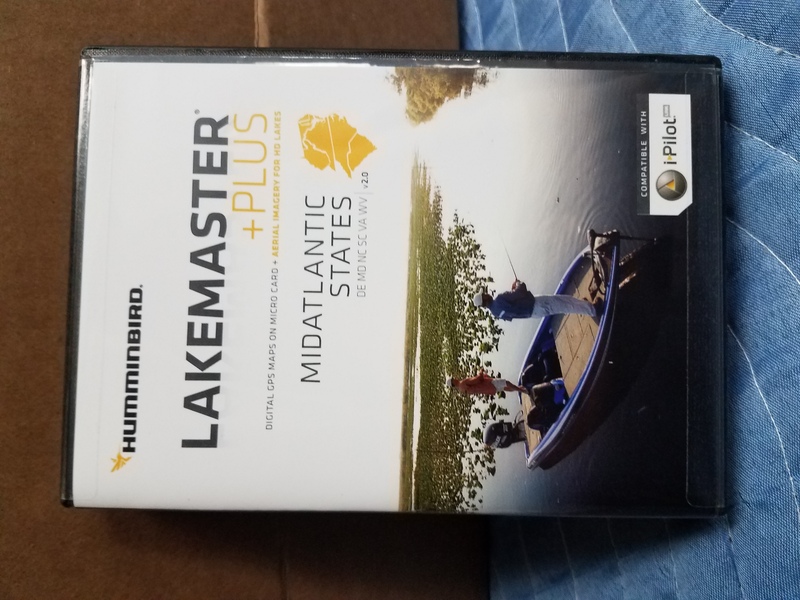 I got this hoping for some coastal mapping to complement my Navionics maps, but it is for freshwater lakes & rivers only in DE, MD, NC, SC, WV.. Since I rarely fish freshwater in those states anymore, somebody is going to get a really great deal on this new mapcard ! I-Pilot Link compatible. Autochart compatible. Excellent contour detail. I use Lakemaster charts on the Great Lakes and have found them superior to any other digital cartography available. This +Plus series has High Def coverage and aerial imagery on some waters. Just posted this on NC Angler to see if you can get a "bite" there. Thanks ! It is very much appreciated.